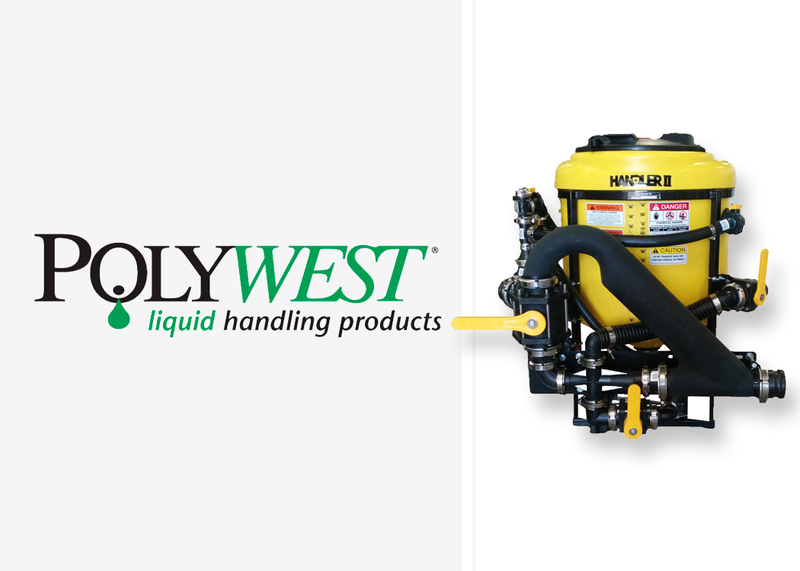 With a capacity of 42 US gallons and 2” or 3” connection sizes, the Handler II from Polywest allows the user to batch mix everything from liquids to dry products and powders, as well as directly induct chemical into the sprayer. The Handler II comes standard with the ability to draw directly from bulk containers using the Handler double venturi. The Handler II has a standard single nozzle agitation system for mixing dry formulations and assisting in tank cleaning. It is available with or without the integrated pump and pump platform. To rotationally mold the “Bypass Tube” component of the Handler II, Polywest collaborated with Avantech to design and build a multi-piece CNC aluminum tool for the project.